KEEP CALM AND CARRY ON: Thoughts for Thursday...Book Rec's Please! 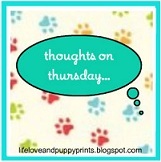 Thoughts for Thursday...Book Rec's Please! It's great that I can put together all my random, interesting, useless facts to share with you in one post! Go link up with Carolyn & share yours! Let's just say: One of my favorite books..hands down. Besides, you still have time to read it before the movie comes out. #2. So now that I'm done with the book...I need each and every one of you girls to give me AWESOME recommendations for the next book I should read. What books have you read lately and enjoyed?! I want to go out over the weekend and get one so please share with me any good reads you have!!! #3. I have gotten around 10 recipes so far from the email recipe exchange I participated in. I love it! I got it from a friend and basically you send any recipe to the person you got it from and then add your name to the bottom of the list and send it out to 20 people. In the end, depending on how many people participate, you only sent out 1 recipe but should get around 20 recipes! Awesome idea! #4. I am much more happy with 7+ hours of sleep. #5. Why do people not accelerate when getting ON the highway? That just drives me up a wall!!! You need to go the SAME speed as the traffic so that when you merge you don't get hit from behind! Why is this such a hard concept? I need to read that book and when I saw the preview, I got SO excited. I love Reese, too!! Recently, I have been reading the Girl With The Dragon Tatoo series, and I am almost done with the third one! Thanks for entering the giveaway - I am excited!! Have you read The Story of Edgar Sawtelle? It came out a few years ago but it's really good, especially if you are an animal lover! Thanks for playing! :) I really want to read that book! Maybe I will wander to Barnes & Noble to buy it. Here are some books that I've read over the past few years and loved: Marley & Me, The Art of Racing in the Rain, The Time Traveler's Wife, The Book Thief. You will be VERY pleased if you choose to read any of those!! See now A few other bloggers say they read the book and said it was slow.....I and just get bored when books are hard to get into! :( I def wanna see the movie though! I read that book and loved it! One of my very favorites has been The Other Boleyn Girl! I was addicted to it, literally. Oh looks like a great book! I'll have to check it out. Always looking for good recommendations. I need to read that book. It seems that it's becoming a favorite in the world of booking. I did a book post yesterday and had someone recommend it. I would recommend The Help to you. It was soo good. I'm following you too. I really like your blog a lot. You remind me of myself. a handbag replica coach-built Carrera only for insane collectors who can appreciate that stuff. Well, that is at least my UK Replica watches feelings on a possible future angle Breitling could choose to take with their Chronoworks Designer handbags watches.In addition to the BC01 movement (which, of course, is COSC chronometer certified Replica Rolex Watches – as though any one cares anymore given the far superior standards out there now. Watches Replica Speaking of which.